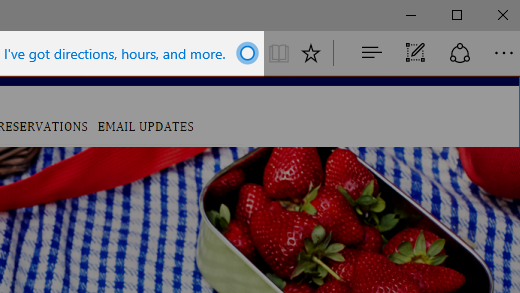 To get more info about something you see on a webpage in Microsoft Edge, select a word, phrase, or image; right-click it (or press and hold); and then select Ask Cortana. Cortana may also spontaneously offer to help as you browse with coupons or contact info for businesses, song lyrics, or useful app links on related websites. Note: Cortana and some Cortana features are only available in select regions.